And Justice For Art: A NEW ARTWORK FOR RONNIE JAMES DIO's 5th YEAR REMEMBERANCE. A NEW ARTWORK FOR RONNIE JAMES DIO's 5th YEAR REMEMBERANCE. Wendy Dio (widow of the late, great Metal singer/icon, Ronnie James Dio) recently appointed American visual artist, Marc Sasso, with the task of producing a new Dio-related artwork. This time the stunning graphic has become the official artwork for the upcoming memorial celebration in honor of the frontman, whose sudden passing shocked the Metal world half a decade ago. The three-day event will take place between May 15-17 in California. It's being christened as “A Celebration of the Life and Music of RONNIE JAMES DIO - The 5th Year Remembrance”. 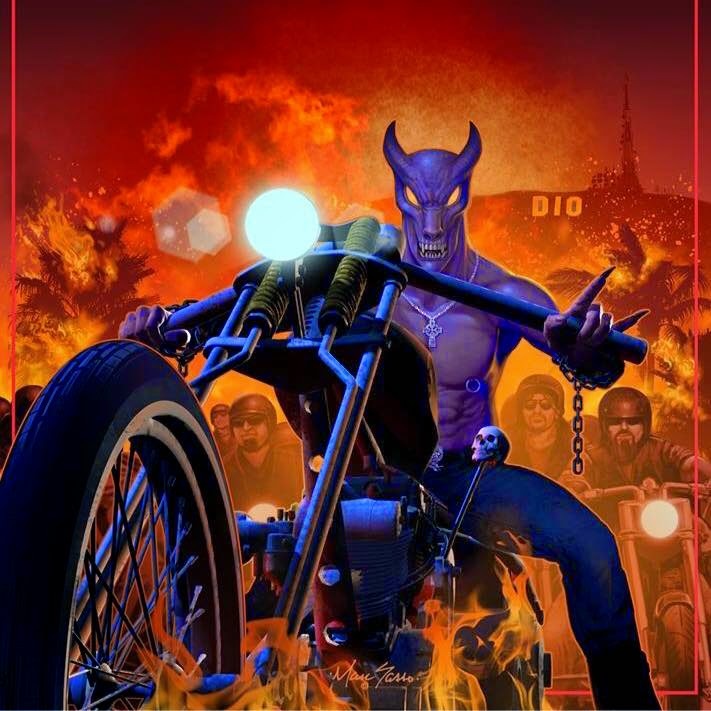 Sasso (who produced the covers for the singer's final studio albums and the recent tribute CD "This Is Your Life") created a mixed media graphic that features Dio's iconic mascot, Murray, posing as a menacing biker. The image evokes the Motorcyle ride that will take place at one of the memorial celebration's main events, specifically on May 17th. "I never thought I could do anything like that again," comments Marc Sasso. He's referring to the possibility of producing new Dio imagery—especially after the passing of the legendary singer in 2010. For him, such opportunity is both an honor and a dream come true. "It makes me feel proud because, you know, I love this music." "Marc's work is amazing," comments Wendy Dio, who deeply admires the talents of the New York-based illustrator. "He is exceptional, a great artist and take chances." She also points out that this one-of-a-kind three-day event includes a celebrity bowling game, an auction to raise funds for the battle against cancer, live music and a public-yet-intimate memorial service. She assures that the latter will be "for the general public, free of charge. People just need to register." Dio cancer fund and the Official Facebook. 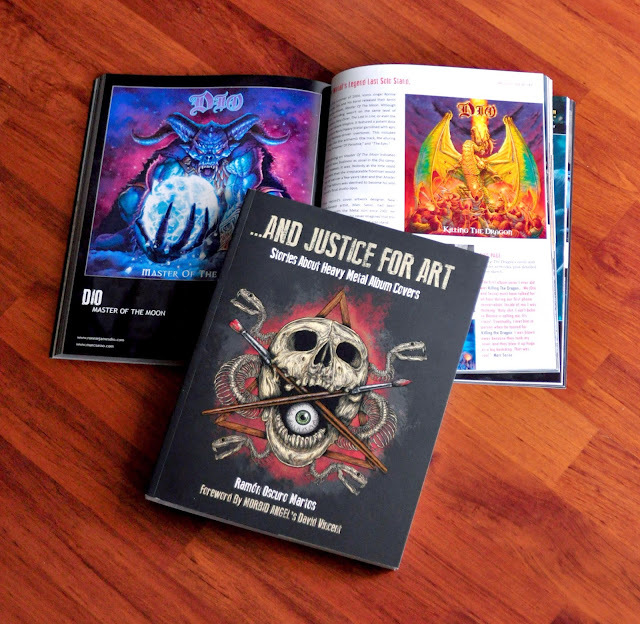 To know more about Marc Sasso's collaborations with Ronnie James Dio and the artworks he created for the late singer's albums, get a copy of the book "And Justice For Art: Stories About Heavy Metal Album Covers." We happen to meet a great people there and started to chat with them and drink w/them too. I had a great time at event space Chicago, glad we found this place by accident. Will definitely come to this place again as anyone will make this a regular spot easily.